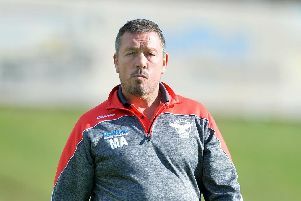 The lack of pre-season competitive action doesn’t concern Sheffield Eagles director of rugby Mark Aston ahead of Sunday’s curtain raiser with Swinton Lions. The Eagles haven’t had any pre-season friendlies in the build-up to the new campaign, but did fit in a behind closed doors session with Castleford last weekend. 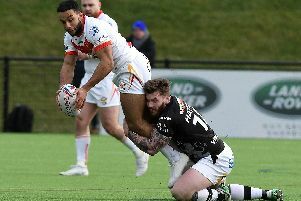 The Eagles were scheduled to face Cas in an official pre-season showdown as part of Garry Lo’s switch to the Super League club, but the match was canned much to Aston’s disappointment. The end of the dual-registration deal with St Helens saw another potential pre-season date disappear, whilst other fixtures close to being confirmed failed to materialise. Whilst an official game with Castleford didn’t happen, the Tigers did face Aston’s side behind the scenes with Aston stating he was impressed with what he saw. “I know there are people saying we haven't played a friendly,” Aston said. Aston looks to have a strong hand available to him for Sunday’s visit of Swinton, with just Rory Dixon (knee) and Joslin Landu (foot) sidelined. His side won’t be lacking in fitness, with the Eagles coming back early for pre-season training which started back in November. Whilst a competitive runout would have been ideal, Aston is relaxed with his approach, stating the hard work on the training ground should have his side sharp and ready to go. Meanwhile, The Star understands the Eagles’ showdown with Toronto – mooted to be played in Belgrade – looks now set to take place in London.